The Partagas Serie D Especial 2010 Limited Edition is a rich and full Gordito, 5.6” (141mm) long, of 50 ring gauge, and comes in a box of 10 cigars. Intense and powerful, this cigar manifests an explosion of flavour on the palate and at the back of the nose. Rich, high quality tobacco, bittersweet chocolate and dark, dark coffee all mixed together in this wonderful cigar, demonstrating so very well all that one expects from the serie D from Partagas. This size of the Edición Limitada 2010 permits to enjoy in a short time all the aromas of one of the most exclusive Habanos brand. The Edición Limitada is manufactured in small quantities, by expert Cuban factories cigar rollers to meet the expectations of the most demanding smokers. Rich and sweet, a very good cigar with tremendous potential. 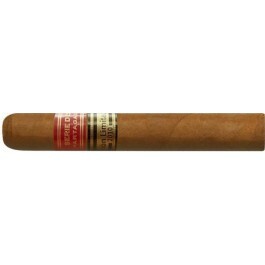 Along the lines of the other great Partagas Serie cigars.